Every year, Pantone announces a new ‘Color of the Year’ – this shade is often used as a prediction for the fashion industry and upcoming color trends, but it’s also a prominent source of inspiration for Pittsburgh weddings! Pantone’s Color of the Year 2018 is the glamorous Ultra Violet (Pantone 18-3838) – a beautiful hue that inspires creativity and positivity, which is perfect for weddings in 2018. If you’re looking for a color scheme to use in your upcoming wedding ceremony or reception, or you want to step outside the box and incorporate this gorgeous color into your event there are plenty of ways to do it. Whether you want that Ultra Violet hue to provide maximum impact on your wedding décor or you’re interested in more minimal or tasteful options, there are quite a few ways to infuse this elegant color into your wedding plans. Bridesmaid gowns – One way to prominently feature the Pantone Color of the Year 2018 in your Pittsburgh wedding is to choose the color as inspiration for your bridesmaid gowns. The bridesmaids can either be in matching gowns or use complementing shades with one or two of the bridesmaids in the rich, ultra violet hue. This color also pops beautifully with a range of backdrops, whether you want to do your wedding photography indoors or outdoors! Wedding bouquet – Go bold by choosing a bouquet with a mix of ultra violet florals! Rich colors of plum paired with pale lilacs other beautiful flowers will create an eye-catching display. If you’re not into a dramatic bouquet, opt for a neutral mix of flowers with subtle pops of ultra violet color. Invitations – The use of ultra violet ink on neutral or classic white invitations is elegant and a subtle way to incorporate the color into your wedding stationery, including save-the-date and thank you cards. Centerpieces – Easily use the Pantone Color of the Year 2018 in your Pittsburgh wedding centerpieces – vases that serve as table numbers look beautiful in shades of ultra violet. Candles, flowers and linen accents are also options depending on whether you want a bold touch or just want hints of the color throughout the wedding décor. Cake – Instead of using ultra violet as a main color for a wedding cake, opt for a lighter touch. A neutral cake with pops of color throughout, such as with flowers or accents is a great way to infuse it with the Pantone hue without going overboard. 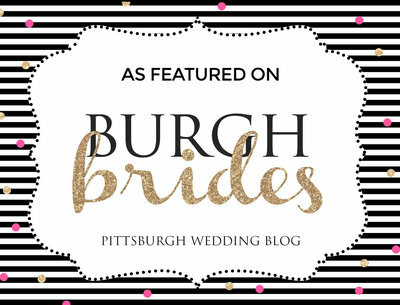 Incorporate the Pantone Color of the Year 2018 with your wedding décor from Pittsburgh wedding vendors – contact me for perfect venue options and Pittsburgh wedding photography locations!